Connecticut Solar Power is the only solar company in Connecticut that holds an electrical PV-1 license. We have been in business for 30 years and roofing for 33 years, and the company has been licensed with the Connecticut Department of Consumer Protection for 25 years. I decided to hire CT Solar Power because of their experiance in the solar and the construction industry. I interview a number of solar installers and system design companies but went with CT Solar because I wanted the customer response time and service you get with a local provider vs the cookie cuter larger national installer. I worked directly with the owner of CT Solar Power. Robert performed all site survey and evaluate my property. He delivered a proposal and handled all of the paperwork ie state grant application. We also discussed which manufacture of solar panels would best meet my needs. Soon after I installed a heat pump so now my panels cover not only all my electric needs and but has reduce my heating bills by 50%. As result looking at break even inside 5 years. Robert and his CT Solar Power made the whole process easy. 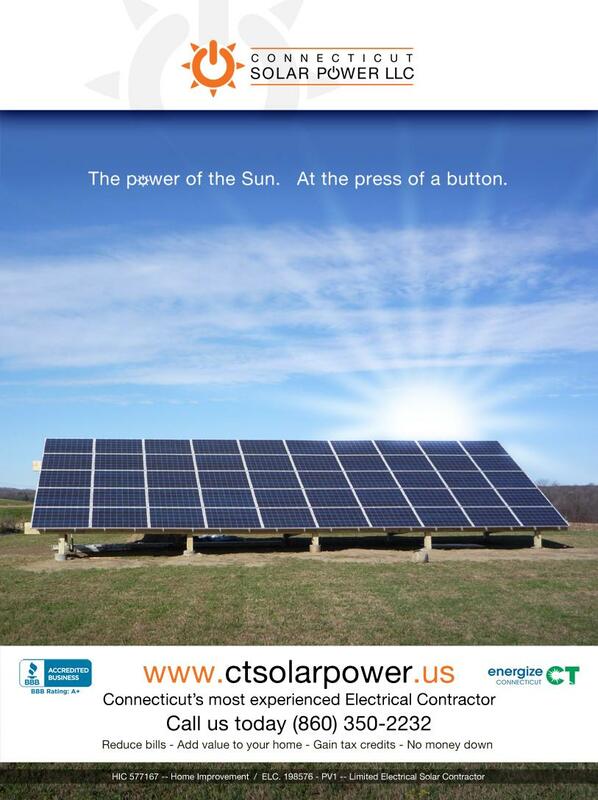 I highly recommend CT Solar Power . 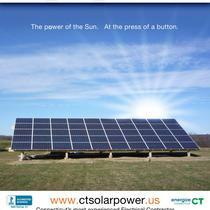 "CT Solar Power - A Great Experience"
I can't rave enough about CT Solar Power and the system they installed for us in 2014. The installation was of the utmost professional quality. The system has worked flawlessly for the 27 months we've been live. Our home is all electric and our goal was to eliminate our monthly payments to Eversource (formerly CL&P) especially in the heating months. We still pay them monthly, but only a $23.75 distribution/customer service charge. Thank you CT Solar Power!  I heartily recommend Connecticut Solar Power LLC. Here’s why. I did my research before hand, comparing panels, systems, cost, and installers. I wanted a firm that would do a good job advising me about the solar panels and do an excellent job of installing the system. Rob Trezza met both criteria. His background as a roofer and his experience as a solar installer were evident from the start. He and his crew took extra care during the installation by running the conduit inside our house rather than simply take the easy path of running the conduit on the outside. They took care in mounting the equipment where we had agreed and did so securely and neatly. I wanted to own the system and Rob did the math to show that I could recoup the investment in less than six years. We looked at several available panels and Rob helped me choose one that did the job at a reasonable price. There are a number of steps in a solar system. CT Solar Power helped me navigate the process so that I had a home energy audit, received engineering approval for roof structure, obtained CT state rebates, inspections and approvals and town permits and signoff. Finally, I am very happy with the final product. I have eliminated electric usage charges over the two years the system has been installed and I expect that to continue.